MARTIN Heidegger (1889-1976) is renowned for being one of the most controversial and ‘difficult’ philosophers of the twentieth century. The rough treatment that Heidegger received at the hands of the fastidious liberal-democratic architects of the post-war epoch has been markedly reprehensible. His alleged crime, of course, at least in the eyes of those who continue to demonise Germany and her people many decades after Hitler’s dictatorship was forcibly removed from power, is that Heidegger himself made no secret of his support for the Third Reich. The present writer is no admirer of the Nazi regime, either, but I do believe that it is possible to separate Heidegger’s political beliefs from his philosophical thought and that National-Socialism in no way colours his intellectual Weltanschauung. Born in Messkirch, a small town in the Baden-Wurttemburg district of the Black Forest in Southern Germany, Heidegger came from a lower middle-class background with strong Catholic roots. The centuries-old tradition of rural life and a deeply-settled peasantry had the reassuring effect of inextricably binding the German thinker to his native soil, a connection which remained with him throughout his whole life. This crucial understanding of Heidegger’s position in the world and his willing acceptance of the pivotal relationship between ‘blut und boden’ (blood and soil) was epitomised by his committed belief in ecological justice, something fuelled by a loathing for rampant modernism and unbridled technology. Coupled with his deeply religious mindset, therefore, Heidegger was uniquely placed in his quest to get to grips with the existential factors that gave these essentially biological and geographical components an even more fundamental and transcendent meaning. After attending high school at the Gymnasium in Konstanz, Heidegger went on to attend a second Gymnasium in Freiburg before training for the priesthood at the local Jesuit seminary. The turning point, however, came when the young Heidegger was introduced to Franz Brentano’s On the Manifold Meaning of Being According to Aristotle (1862) and he embarked upon a deep and lasting fascination with philosophy. At this time Heidegger was still training to be a priest, but this did not prevent him from going on to examine other notable works of the period, such as Carl Braig’s On Being: An Outline of Ontology (1896) and the works of Nietzsche, Aristotle, Dostoyevsky, Kant, Dilthey, Plato, Descartes, Hegel and Kierkegaard. Once he had finally graduated and gone on to lecture in Psychology at Frieburg University, Heidegger became profoundly influenced by the distinguished Jewish professor and phenomenologist, Edmund Husserl. But although Husserl is regarded by some to have been Heidegger’s mentor, the latter was filled with such an incredible sense of energy and dynamism of his own that he inspired and transfixed audiences throughout Germany. Heidegger’s radicalism and vitality soon led to his reputation exceeding all bounds and, in 1924, he embarked upon an intimate relationship with an admiring Jewish student called Hannah Arendt, herself poised to write a series of philosophical works dealing with the nature of power and totalitarianism. But the affair was not to last and, whilst Arendt went on to marry a Marxist poet by the name of Heinrich Blucher, Heidegger – ironically, perhaps – was later to become irrevocably and, for those of a more vindictive and obsessive persuasion, irretrievably linked to the emerging National-Socialist movement. In the meantime, however, the publication of the ground-breaking Being and Time (1927) was to make his name. As a result, we must turn now to the actual nature of Heidegger’s thought as it was expressed through this celebrated and seminal opus. The unique dimension that Heidegger added to the development of Western thought was something that came about as a result of a huge intellectual oversight. Indeed, whilst much attention had been given to Man and his relationship with other earthly creatures and the nature of the world in which we find ourselves, very few thinkers had thought to focus their attentions on the more significant issues surrounding the nature of being itself. The early ontologists such as Heraclitus, Parmenides and Anaximander had devoted some attention to these matters, but individuals like Plato had made the error of being too theoretical. The result, according to Heidegger, was that an inexplicable gulf existed between the subject on the one hand and the realm of objects on the other. This division, he believed, led to ‘a splitting asunder of the phenomena’. For Heidegger, therefore, unity was essential in the quest to examine precisely what lay behind the unexplored mystery of being. Those things that already exist, he believed, are simply a consequence of being itself. This relates to the primordial, or that which is prior. The reason Western philosophy has consistently failed to tackle this important distinction is due to an unfortunate linguistic ambiguity. The Greek term for being is ‘parousia’, which is usually interpreted as ‘to be’, but elsewhere the phrase can also be translated as ‘substance’ or ‘supreme being’. The result is that being is inevitably examined in accordance with an intervening or divine agent of some kind. So for Plato it was an idea, for Aristotle the substance, for Descartes it was God and for Husserl pure consciousness. Heidegger completely broke the mould, however, by suggesting that mankind’s search for the origins of being obscured the actual question of what being really is in the first place. This was known as Heidegger’s fundamental ontology, because it went far beyond the ordinary questions about the nature of God or free will, for example, and was determined to address being itself. Essentially, therefore, this approach was a repudiation of the increasingly popular nihilist interpretation of existence because it immediately gave life a sense of meaning. One of the more awkward aspects of Heideggerian thought is the unusual vocabulary that he employs in Being and Time. There are two different terminological forms to be taken into consideration: the first, ‘being’, is used to relate to everything in the world, be it animals, humans, insects, plant life or any other natural phenomena. The second, ‘Being’, is used to describe the essence of these organisms, the primordial process that is actually responsible for bringing them into existence in the first place. In German, ‘Being’ is ‘das Sein’, although this is not simply meant to relate to that it means ‘to be’, but also to question what ‘to be’ really means. So the noun is transformed into a verb, thus to avoid being reduced to something that is completely abstract and indefinable. Heidegger uses the adjective ‘ontological’, on the other hand, to describe anything which relates to Being. However, Being can neither be measured nor fathomed in accordance with the senses, which makes things rather confusing, at least until one takes into consideration the fact that Heidegger’s non-capitalised version of the term (‘being’) is perfectly suited to this purpose. As Being dwells within us all as the primordial substance, it cannot appear outside ourselves as something independent. This means that in order to get at the root of what Being is, Heidegger regarded humans as worthy of study because we act as convenient receptacles through which Being is revealed. It is also important to note that humans alone are capable of questioning what Being actually is, something which, however vague it seems, may ultimately imply that an answer of some kind can eventually be found. Man, therefore, was chosen to be the philosophical guinea pig that would allow Heidegger to unearth the nature of Being. But what are we to make of Time, the second key component in the title of Heidegger’s work? In order to study Being, it is necessary to place it within the appropriate context and this is where Time comes in. This invites further questions, of course, not least the thorny issue of what it means to be within Time rather than what Time actually represents both in and of itself. By examining Being in accordance with Time, therefore, Heidegger was able to discuss the relevance of the individual in terms of his or her past, present and future. The present is only important in the sense that it relates to what someone happens to be doing at any precise moment, but the past must assume equal importance because it is responsible for the present itself. The combination of the two, meanwhile, is connected to the future because past and present can either limit or expand one’s future potential. Temporality, or the state of existing or being connected with Time and the world, was a term used by Heidegger to denote the vast importance he attributed to the whole interconnectedness of this past, present and future triad. Life as a whole, then, was perceived as a crucial totality that defined the individual. Despite Heidegger’s contention that the perpetual concern of ancient philosophy with the notion of a ‘supreme being’ had tended to distract most Western ontological thinkers from dealing with the more important question of what constitutes Being, his own religious convictions inevitably contributed to an ongoing belief that a truth of some kind still existed. At the same time, however, Heidegger was of the opinion that truth is something which is merely relevant to the period in which it came about. This sounds awfully relativistic, of course, and it remains a fact that the German thinker completely dismissed the concept of a universal truth which could be entirely independent of time and space. But Heidegger’s role was not to provide answers to these complex questions, but to make people aware of the questions that arise through philosophical reasoning. One way in which this was achieved, was by outlining his idea of ‘the Nothing’. This term was used as a byword for the creative force that we very rarely perceive. Existential thinkers such as Jean-Paul Sartre and Albert Camus, both of whom were extremely influenced by Heidegger’s work, have discussed similar concepts themselves, but for Heidegger ‘the Nothing’ is experienced in moments of great anxiety when we stop to consider the possibility of non-existence. In fact both sides of the existential coin are indispensable to one another, because ‘the Nothing’ serves as a timely reminder of our ‘Being’ and whenever an individual experiences such a condition it is often greeted as a revelation of the human condition. Sartre’s La Nausée (1938), for example, used the example of a man passing through a doorway who suddenly became transfixed by the doorknob, something he had previously taken for granted, but which, nonetheless, remains essential in order for the door to continue to operate effectively. To question, meanwhile, is to achieve some form of identification. 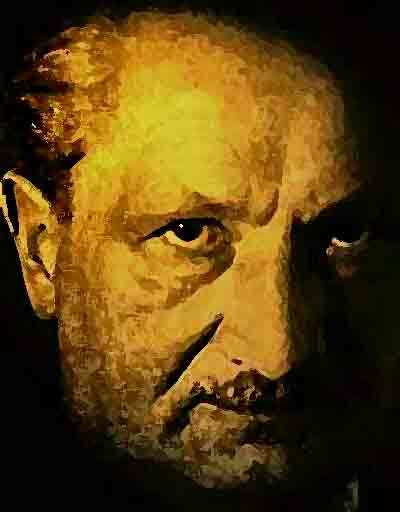 Heidegger also developed the idea that individuals are capitulated into existence by a process known as ‘thrownness’. But this term doesn’t just relate to the initial act of coming into existence, on the contrary, people are projected forward in this manner throughout their entire lives. This may sound like a form of determinism or even a basic lack of free will, but Heidegger’s view is that past, present and future constantly interact with one another. It is impossible for an individual to create him or herself anew, however, because the choices we make are determined by who we are in the present based on who we were in the past. This, perhaps, appears to suggest that the more unfortunate individual can somehow be absolved of blame when it comes to the reasons behind his or her own predicament, but when dealing with the potential of the individual Heidegger never really explained whether he was attributing this to environmental or biological factors and when it came to the age-old debate between nature and nurture he tended to remain sitting on the fence. Personally, however, I believe there is a fine line between Heidegger’s concept of ‘thrownness’ and John Locke’s notorious tabula rasa, at least if we are to assume that an individual is condemned to be a prisoner of his own circumstances. One rather curious feature of Heideggerian thought relates to what he described as ‘inauthenticity’, or ‘falling’. As we denizens of the twenty-first century know only too well, the modern world is brimming with superficiality and trivia, things which seduce people to the extent that they become completely detached from reality. Heidegger would refer to these transient distractions as ‘the actual’. Shallow trends, in other words, which lead to a non-awareness of Being. We often see this whenever people refuse to think about death, preferring to focus upon those things which offer escapism and a chance to avoid discussing anything which relates to the allegedly ‘morbid’ limitations of their own existence. Those individuals who are either too busy or preoccupied to appreciate a sense of reality are said to possess an ‘inauthentic inability’ to be themselves and thus end up limiting their future possibilities. Heidegger’s ‘falling’, therefore, is a perfect critique of the worthless values of mass consumer society and unless we begin to assume responsibility for our own lives, as well as our own deaths, we shall never achieve real freedom or self-worth. “Death”, he says, “opens up the question of Being.” Indeed, without confronting death and accepting that it is an essential part of Being, we will find it impossible to realise our true potential. TROY SOUTHGATE is from Crystal Palace, South London, and has English, Swedish and Scottish ancestry. He has been an underground writer, thinker and activist for almost thirty-five years. Between 1994 and 1997 Troy studied History and Theology at the University of Kent and, in 2014, received a teaching certificate in English Language from Cambridge University. Elsewhere, he has been involved with over twenty music projects, including HERR, Xiphos, Seelenlicht, Von Thronstahl, Horologium, The Days of the Trumpet Call, Survival Unit, Sagittarius, Mind Terrorist, Across the Rubicon, Ollin, Elvatorium, Erich Zahn, Street Cleaner, Jumpscare and many others. He has also coached and managed boys’ football teams at under-8 and under-11 levels in both London and East Sussex, helping them go on to win local tournaments. Troy has written and published over seventy books and is the founder of the National-Anarchist Movement (N-AM). The father of four children, all of whom have been home-educated, Troy remains an inveterate bibliophile, an accomplished poet, a keen cyclist and enjoys photographing and researching churches, ruins and sacred places. He lives in Portugal. Next Schopenhauer and Suffering: Eternal Pessimist or Prophet for Our Times?